Col and Rose Nation have been operating their service industry businesses together since 1982. They started a small carpet cleaning business which is one of the most competitive industries of all, and despite the “recession we had to have” (Paul Keating circa 1990), it grew into a much larger business with several employees. During this time they also started a Persian rug cleaning business and a fabric protection business. All three businesses ran concurrently. In 1998 they sold their three businesses in Brisbane and semi-retired to the Sunshine Coast. Well that was the plan, but after a few months of taking it easy, the passion of business called again. Rose ventured back into the retail industry and took on a position of operations manager for a business that grew into a multi-million dollar business. Col’s vast experience in textile maintenance led him to start a specialty cleaning consulting and stain removal service which still operates today. Col and Rose realized that their special skills and unique personalities that have helped them prosper through both good and not so good economical climates should be passed on to others. Nation Training was developed to help share these special skills that Col and Rose have learned from many years in business, to help small and developing businesses in the community to grow and prosper. Rose Nation: My career includes a strong grounding in the service and retail industries. This includes human resources, customer service, training development and small business management. Using this experience, I have created programs aimed at helping people turn their passion into profit. I deliver a series of practical no-nonsense courses which teach you simple practical skills that will enable you to use the strategies in your business immediately. My training style is like a friendly, fun conversation that will have you learning with laughter and excitement that will leave you feeling motivated and empowered. My qualifications include Diploma in Business Management, Cert IV in Small Business Operations and Management, and Certificate IV in Training and Assessment plus a lifetime of experience in both the service and retail industries. 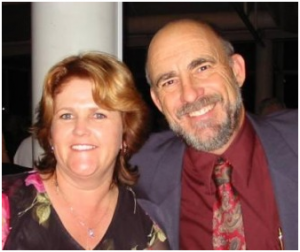 Colin Nation: I am a carpet cleaning industry veteran with a technical background, who is committed to sharing my knowledge and experience to help individuals and companies achieve their goals. As a fully qualified trainer (Cert IV in Training and Assessment) I have been responsible for developing and delivering quality industry training for Certificate II &III in Asset Maintenance – Carpet Cleaning Operations, the Australian government recognised qualification for carpet cleaning industry. Experience is the best way to learn. A trainer cannot teach ‘experience’, but you can learn from my extensive experience. My training style is relaxed and fun, with loads of hands on activities because I understand that most people in service industries are hands-on learners. The training that I offer is based on real life experience that I will share with you.